Here is a free responsive Bootstrap template from our friends at BootstrapZero. 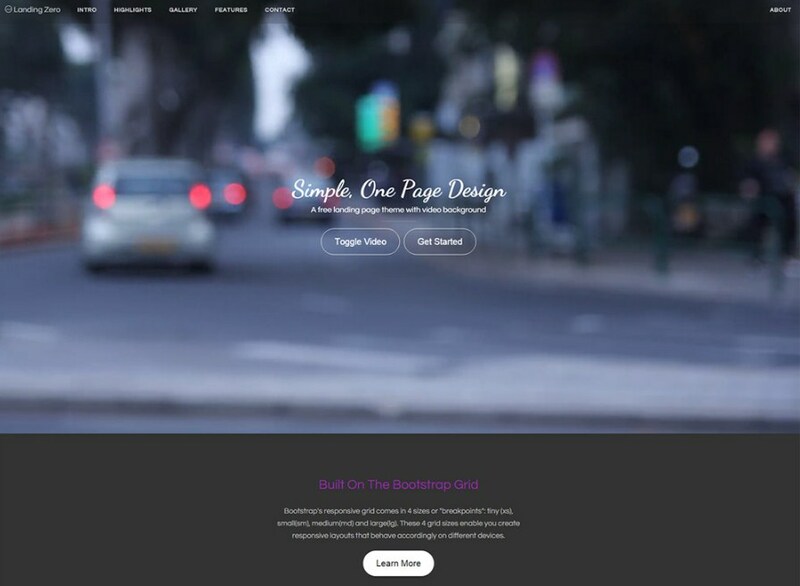 This stylish template allows you to easily create landing pages and one page websites. Once you look at the clean layout of Landing Zero, you will see it has all of the elements that make an effective landing page: a headline, a supporting sub-header, a hero shot, a list of benefits, and of course a clear CTA (call-to-action). And if you want to use this freebie for your campaign, all you have to do is replace the default content with your texts and images. Furthermore, the template is also enhanced with a contact form, an email subscription form, and a nice image gallery that will help you highlight your best products or services.